This coming weekend we'll be heads-down in another #FullMoonEngageMe event! Our first #FullMoonEngageMe event launched in May 2014 ; it’s about networking and having fun. They are always held when the moon is full. By meeting and connecting with top social media engagers, you may grab a unique opportunity to super charge your social networking – on #EmpireKred and beyond! We will be back later this week with more details. 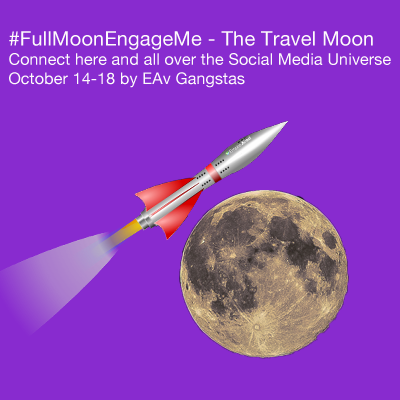 For now, mark your calendar and pack your bags for #FullMoonEngageMe #TravelMoon -- it's going to be a blast!